A few days ago I went to an exhibit called Voyages a Velo which traces the history of cycling in Paris. 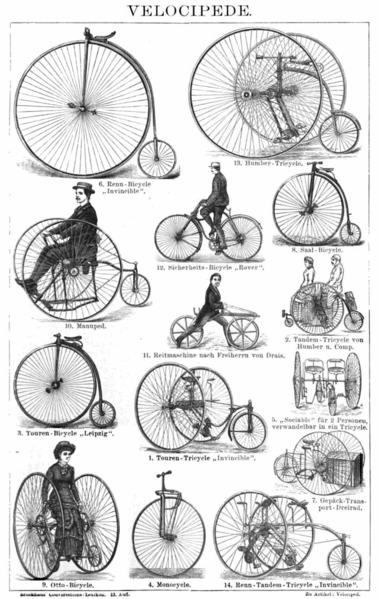 There were velocipedes on display from the early 19th century and other early bikes that didn’t have chains or inflatable wheels. 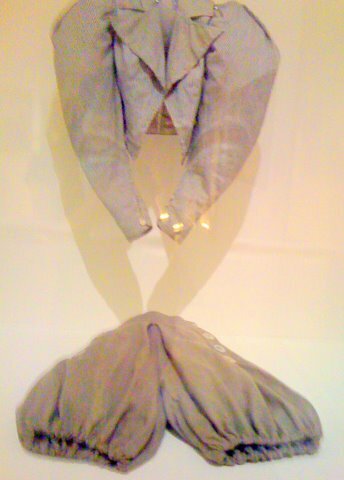 Most of the exhibit was dedicated to documenting the evolution of bicycle culture and fashion. There were dozens of vintage posters advertising bicycles, races, and cycling fashions. Cycling has been a part of French culture for a very long time. Peugeot, now one of the biggest automobile manufactures in France, actually got its start manufacturing bicycles. What I enjoyed most about the exhibit was seeing the progression of women on bicycles. French women started cycling over a hundred years ago and the question of how to look good while pedaling comfortably was on their minds too. In some cases it seems that they just wore their usual full skirts while biking (not having a chain would make this significantly easier), but I was also excited to see bloomers at the exhibit. It’s interesting that now there is a movement of women trying to make biking in skirts, dresses, and heels the new social norm. I thought I’d share another cool cycling blog I enjoy called Let’s Go Ride a Bike. It’s written by two women in the Midwest who both bike commute and just try to look normal and nice while they do it. Here is a recent post they did about the best skirts to wear while biking. A tip I learned in Amsterdam about biking in a flowing summer skirt is to carry a clothespin with you so you can gather and secure some of the fabric and thus avoid flashing people. Skinny jeans are also great to bike in. I’m a fan of “jeggings” which are mostly made of spandex and dry quickly, but still look like jeans. Outlier, also makes some fancy biking pants for women and I’ve heard good things about their other products—which are mostly for men. Anyway, it’s not about the gear! But, it helps to get a few tips—and maybe a few new clothing items—so that you’re comfortable. I had no idea what to wear when I first started bike commuting and slowly learned that I didn’t need to don a racing jersey to go the four miles downtown. 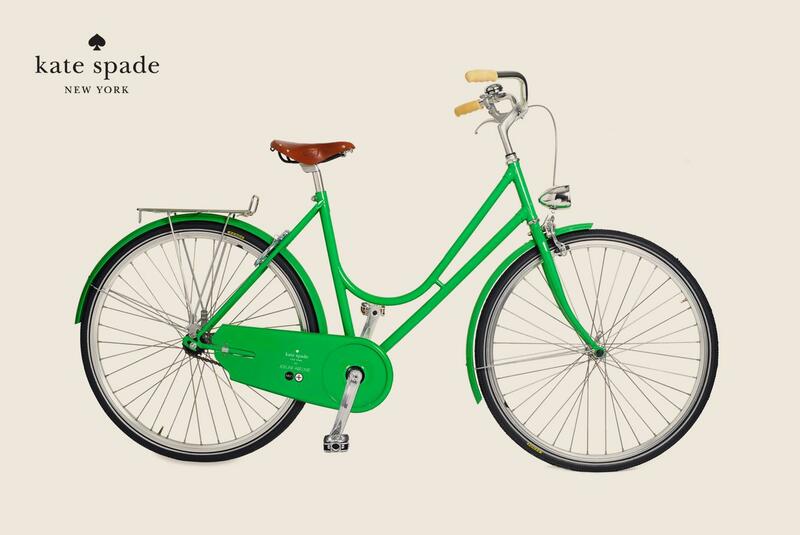 Lastly, if you don’t believe me that bicycles are becoming the hottest accessory in the world’s hippest cities, just check out this gorgeous Kate Spade bike. I imagine you are having a fantastic time in Paris celebrating your day. My stylish sister-in-law, Allegra, passed this link along to me for the company Po Campo. They make some cool handbags that can be attached to your bike rack or handle bars.